Slack reminders work better than email. 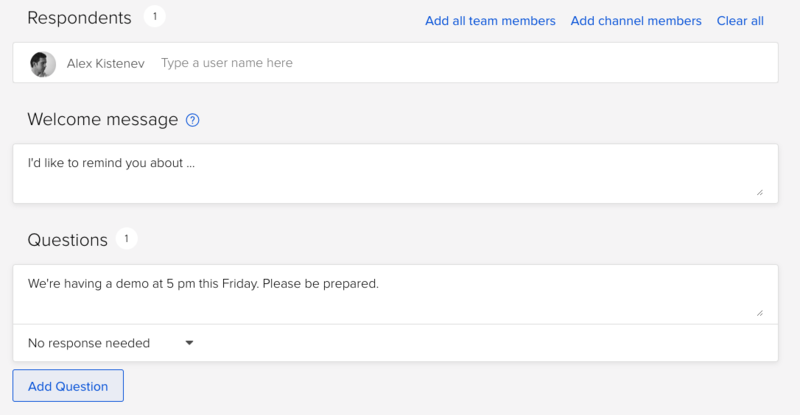 Set a reminder via slackbot or Standuply to ping your team about upcoming Scrum events*. In Standuply you can customize and manage reminders on your dashboard. Pick a schedule to post a reminder message on Slack. It can be one-time or recurring event tied to any time zone or to each team member's local time. You select participants and customize the message. On schedule, Standuply reaches out to selected people in Slack and delivers them a message you set up. No action is needed from your team members. However, you can still set up a reminder. Planned events are used in Scrum to keep the consistency and working rhythm. It's done to minimize meetings and overhead. The length of all the events is limited by time. After the Sprint has started their length should remain fixed. However, events can be accomplished earlier if the Sprint Goal is reached. Time planned should be enough to keep all the process in place and make sure Sprint Goal is reachable. 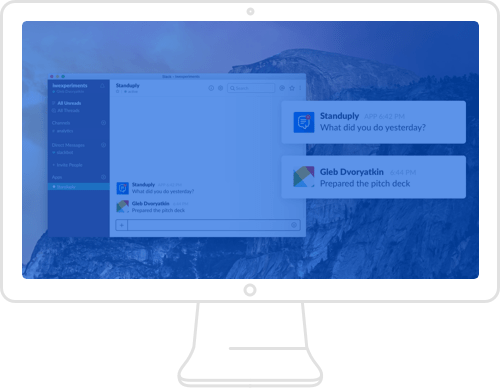 Standuply is #1 standup bot for Slack. It runs asynchronous stand-up meetings and tracks team performance in Slack.